Infinite potential is within your grasp! Collective knowledge resulting from different points of view has no boundaries as long as we open our minds to all the possibilities both inside and outside our perceived normality. In a progressive society, normality is the obstacle, and sustainable prosperity results from having no perception of normality at all. Hence, no limits, and infinite potential is within your grasp! Leave a comment	| tags: Collective knowledge resulting from different points of view has no boundaries as long as we open our minds to all the possibilities that are located both inside and outside our perceived normality. | posted in American Dream, AMERICAN WRITER, and question everything!, Manufacturing Research Practitioner ™, NEW HAMPSHIRE "Live Free or Die. ", Question everything! “We The People” find ourselves searching for the next great leaders. “We The People” for the past 230 years have been a Constitutional Republic, created and implemented by very wise people who risked everything not for self; but to create a great nation. What “We The People” search for again is a group of new leaders who are willing to risk everything not for self, but for “We The People!” These risk takers will be American Citizens from every corner of the United States. 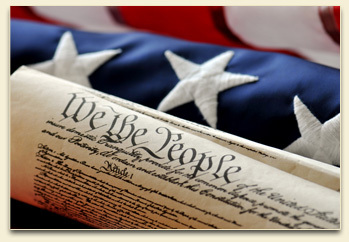 Willing to serve “We The People” not for personal glory, but serve to once again to create the greatest nation on earth! History can, and will repeat itself, because “We The People” will not have it any other way! 1 Comment	| tags: America, American Society, constitutional republic, Daniel Morgan, Flag, George Rogers Clark, George Washington, Henry "Lighthorse Harry" Lee, Immigrants, James Madison, James Monroe, liberty, Live Free or Die, Nathaniel Bacon, Patrick Henry, Pietro Savo, Resolve, Richard Henry Lee, speak English, Thomas Jefferson	| posted in American Dream, AMERICAN WRITER, and question everything!, Manufacturing Research Practitioner ™, NEW HAMPSHIRE "Live Free or Die." I Have Been Told That I Am Too Patriotic! I have been told that I am too patriotic. I am the son of immigrants and my parents came to this country with only one suitcase that contained all their belongings. When they arrived in America, they were expected to become productive members of society, they were also expected to speak English, and if they could not achieve these two important requirements, they were expected to leave the country. Be productive and speak English, two clear-cut choices. My parents stayed and raised four productive children with English becoming their primary language. Being the son of Italian immigrants, you would think I would have a natural interest in water fountains since Italy is historically known for their beautiful fountains. Since I am not interested in water fountains my wife surprised me and gave me a water fountain for my 50th birthday, and she is Irish, so I am not sure where that came from. Today was devoted to wiring the water fountain, to get it running because this project has been on my-honey-do list since July. Our home is 230 years old and wiring anything is a treacherous act in its self, and I am happy to report we were successful and the fountain is now running creating tranquil sound to relax with. Not stopping with this wiring project was my plan, you see I live about 13 miles from the Massachusetts northern border in New Hampshire, and many of the neighbors are transplanted from Massachusetts. My neighbors have made comments about the large size of my American flag attached to my 30-foot flagpole, with a large gold eagle on top, located and planted freely in my front yard, on more than one occasion. Perhaps I am too patriotic, is it possible to be too patriotic? The dedication to installing and having a running water fountain acquired the same wiring talent needed to place a bright spotlight on this American flag in my front yard; I owe this to my neighbors. Now our flag is visible for many miles a proud red, white, and blue American flag waving freely in the night. Perhaps I am too patriotic, and honestly, that is a good place to be! 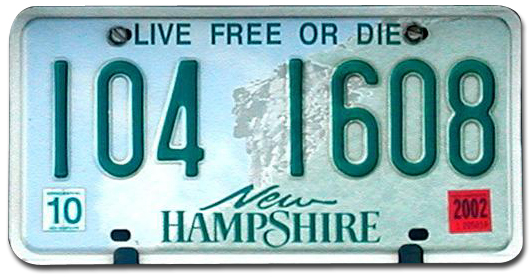 New Hampshire’s “Live free or die” is perhaps the most passionate state motto of them all. I can only wonder if such resolve exists in our American Society today. Our family just concluded a world win vacation of the Virginia Blue Ridge Mountains rich in historical Patriots who believed and lived the New Hampshire state motto. Virginian Patriots such as George Washington, Thomas Jefferson, James Madison, James Monroe, Nathaniel Bacon, George Rogers Clark, Patrick Henry, Henry “Lighthorse Harry” Lee, Richard Henry Lee, and Daniel Morgan. What these Patriots had in common was that they all believed in freedom over self, and they were willing to risk death to achieve it. These Virginian Patriots joined forces with Patriots from across our great land and created not just a motto to live by, but also an entire nation. Resolve of such passion is admired, and must be always in duplication to ensure that, our great nation never cease to exist… “Live free or die”! Leave a comment	| tags: American Society, Daniel Morgan, George Rogers Clark, George Washington, Henry "Lighthorse Harry" Lee, James Madison, James Monroe, Live Free or Die, Nathaniel Bacon, Patrick Henry, Pietro Savo, Resolve, Richard Henry Lee, Thomas Jefferson, Virginia Blue Ridge Mountains	| posted in American Dream, AMERICAN WRITER, NEW HAMPSHIRE "Live Free or Die. ", Question everything!